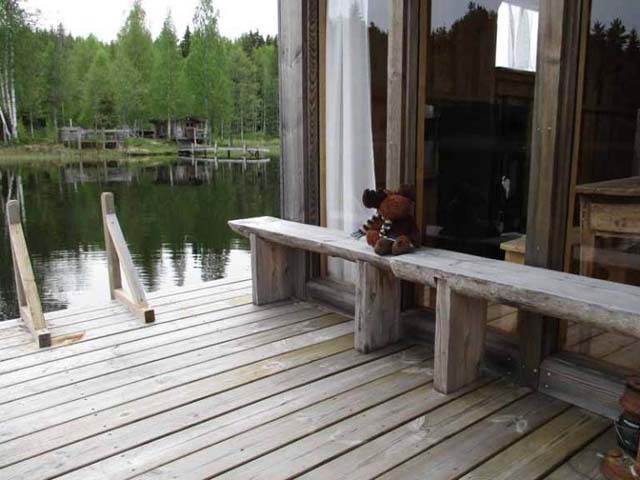 Niki, Jayne and Elky visited Värmland in May 2016 and the last stop on their trip was at our Back to Basics in Cosy Cabins. After a day visiting the beautiful Glaskogen Nature Reserve, we travelled 20km south and just off a main road, a track takes you away from civilisation and leads to you a wonderful place that feels like you’re in the middle of nowhere in just a couple of minutes. Back to Basics in Cosy Cabins is located in a forest on the edge of a lake, or on the lake in the case of the floating cabin! 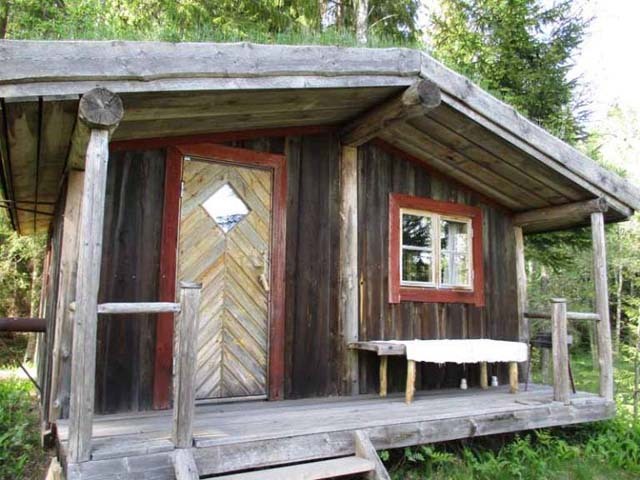 All built by the fair hands and skill of the local host including furniture, ladders and the cabins themselves. Hot tub with the floating cabin in the background. Photo: Nature Travels. 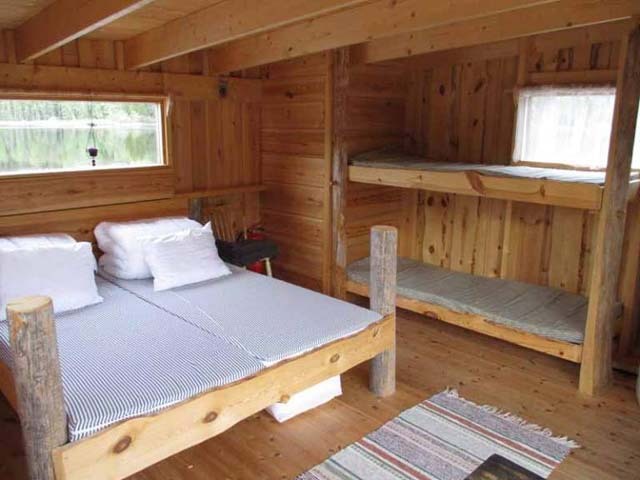 All have very comfortable beds and with the exception of the “Cuckoo’s Nest” Tree House, all have wood burning stoves. 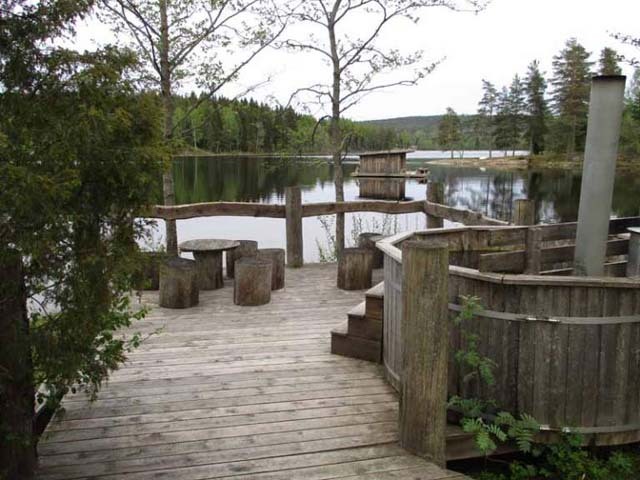 Three forest cabins are dotted around the area and two tree houses are easily accessed up some steps and a ramp. There’s also a very unique Floating Cabin moored out on the lake and reached by canoe. The floating cabin. Photo: Nature Travels. For dinner we’re shown how to make “kolbullar”, bacon pancakes with lingonberry jam. You take your pan, heat it on the fire, fry some bacon until cooked and add some batter before turning it over to cook the other side and serve with lingonberry sauce. Flipping the pancakes was harder than it looked and even putting two pans together to turn it proved too difficult for me and mine ended up on a rock! It was easily saved but resembled more bacon and scrambled eggs than a pancake! 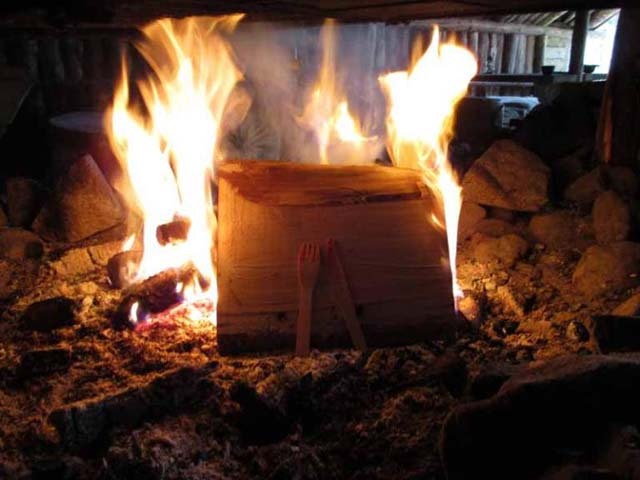 Cooking over open fire is part of the “back to basics” experience. Photo: Nature Travels. After dinner, another sauna was in order and whilst it was heating, Jayne, Elky and I paddled to the Floating Cabin to investigate. The cabin sleeps a family of 4, with a double bed and bunk beds made for smaller legs, and currently a seagull nesting in the roof! Outside the floating cabin. Photo: Nature Travels. Around the lake you can see many signs of beaver, with fallen trees on the edge of the lake after being gnawed with their giant teeth to build their homes. Sadly we didn’t spot any on this occasion and we headed back to shore to put a few more pieces wood on the sauna and enjoy the tranquility of our surroundings. 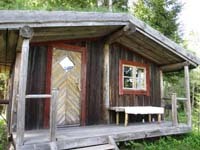 One of the Forest Cabins. Photo: Nature Travels. We had an early start in the morning so it was bedtime after sauna. We were staying in the Lakeview Tree House and, as it was a little early in the season, we were happy we had a wood burner to fire up to keep us toasty. In the morning we cooked bacon and eggs on the fire for breakfast and then headed off back to Norway to end our adventures in Värmland!